We Energies' power plant in Oak Creek is under fire again. First, it was coal dust drifting into nearby neighborhoods. Now, it's the amount of mercury the energy provider is putting into Lake Michigan. 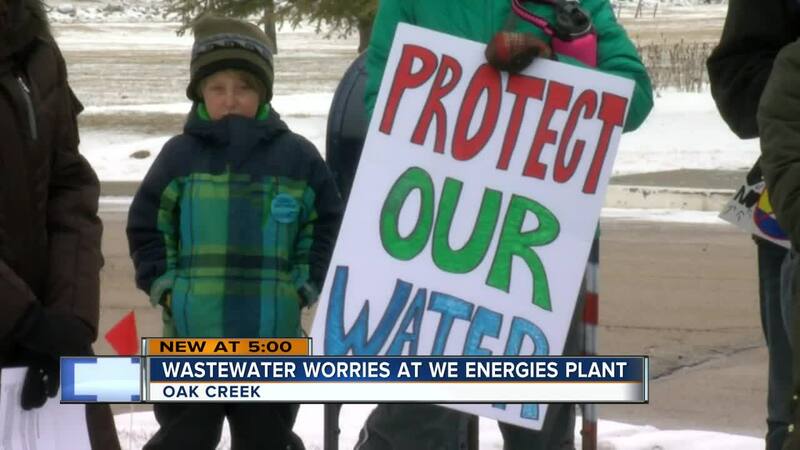 OAK CREEK — We Energies' power plant in Oak Creek is under fire again. First, it was coal dust drifting into nearby neighborhoods. Now, it's the amount of mercury the energy provider is putting into Lake Michigan. We Energies knows the mercury is coming from its Oak Creek coal power plant, but the company said it doesn't understand why the amount of mercury found in its wastewater has nearly doubled in a decade. It was standing room only for a large group of fired-up Oak Creek residents Monday afternoon as they called on the Wisconsin DNR to deny We Energies' request to discharge more than three times the limit of mercury into Lake Michigan. The state allows up to 1.3 parts per trillion of the toxic element to protect wildlife. We Energies wants to release up to 4.1. "I thought it was a joke. When I found out it was true, I was appalled," Oak Creek resident Frank Michna said. Michna believes this a public safety issue that could be most detrimental to the health of children and the elderly. "They're dumping this into our lake, which is our main drinking source of all the communities around here," Michna said. While Michna and dozens of others demand zero tolerance for mercury in Lake Michigan, Brendan Conway of We Energies said that isn't an option for this power plant. "The technology doesn't currently exist to go below this 1.3 level, so that's not even possible," Conway said. Conway said the mercury levels found in their treated wastewater vary daily and excessive amounts aren't frequently released. "Ninety-nine percent of the time we are below this 4.1 level, oftentimes a lot below the level," Conway said. We Energies isn't alone in dumping mercury into Lake Michigan. Conway claims the Milwaukee Metro Sewerage District discharges similar mercury levels, but he believes they can all do better. "Of course, we want to continue to examine this issue and lower the mercury," he said.